Beginning Monday, April 2, the TV simulcasts of ESPN Radio’s weekday morning Golic and Wingo and mid-day’s The Dan Le Batard Show with Stugotz will join afternoon’s The Will Cain Show on ESPNEWS, making the network the TV home of ESPN’s three weekday national radio simulcasts. 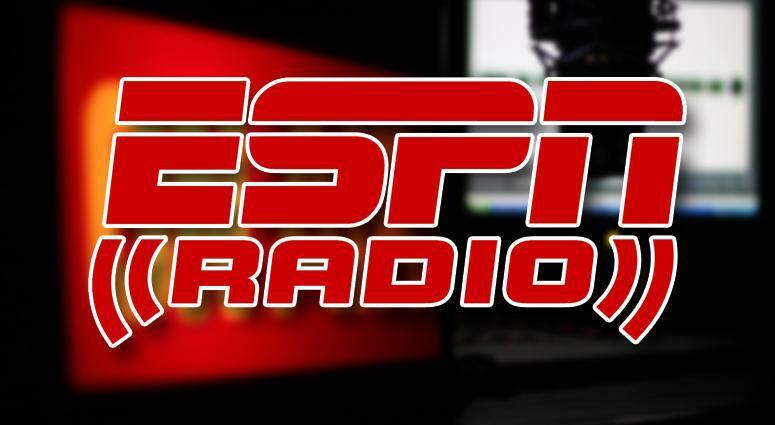 Golic and Wingo has been seen on ESPN2 since its launch in November and will continue from 6 – 10 a.m. ET. 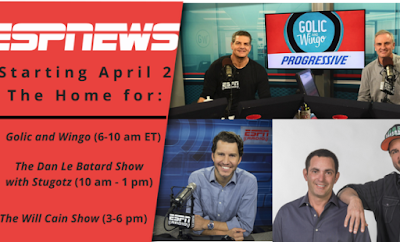 The Dan Le Batard Show with Stugotz has aired on ESPNU since September 2015 and is seen 10 a.m. – 1 p.m. The Will Cain Show has aired 3 – 6 p.m. on ESPNEWS since it debuted January 2. 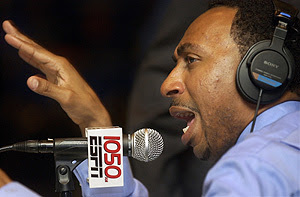 Editor's note: ESPN Radio airs Stephen A. Smith from 1-3 p.m. however the show does not simulcast on TV. Smith is seen daily on ESPN's First Take with Max Kellerman.